Stunning home in exclusive Hunter's Ridge development. Soaring 2 story great room offers a fabulous grand feel. Wonderful 1st floor master suite! 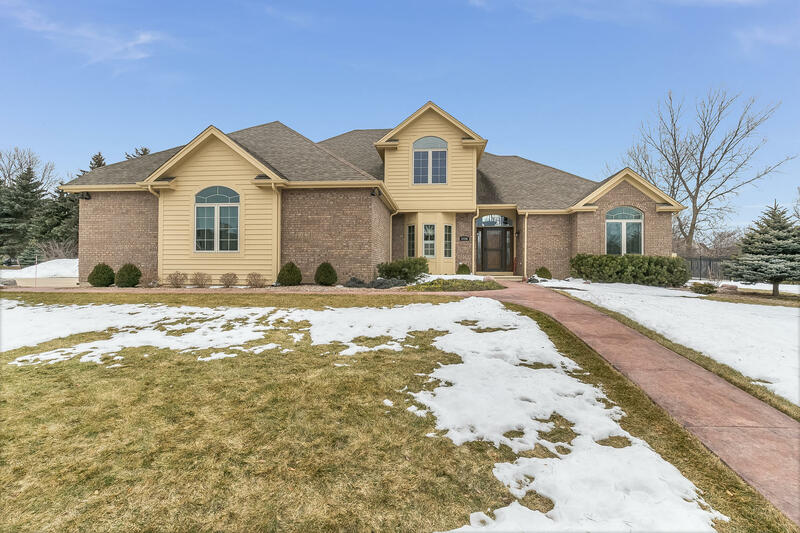 Beautiful custom windows in great room overlook fenced backyard w/underground sprinkler system & outdoor entertaining area offering large stained concrete patio & walkways, patio cover & heated in-ground pool. Gourmet kitchen w/Viking range & extensive storage. 2 sided fireplace in family room/kitchen. Huge finished lower level with office area, rec room with bar area & additional office/home gym with en-suite. Massive garage offering nearly 1200 sq ft with 10ft overhead door & 36 ft deep to allow perfect space for boat or RV storage. Staircase from garage to basement allows easy access or great set up for possible mother-in-law arrangement.